Barbados – as we all know – is suffering from a dearth of national political leadership, and is currently in a state of crisis and great peril. But the good news is that we are beginning to see positive signs which suggest that the “fight-back” to save and restore Barbados has begun! (7) the admirable initiative undertaken by Messrs Andrew Bynoe and Patrick Frost to highlight and tackle the corrupt practice of “vote buying” that is now routinely engaged in by our Barbadian political class. What makes these recent developments so encouraging is that they have emerged in a Barbados that has been through a virtually unrelieved ten year period of depression, disappointment and disenchantment, courtesy of a highly deficient and defective national political leadership. 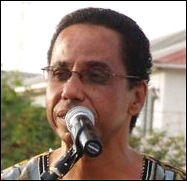 If we go back to the last three years of Mr Owen Arthur’s 2004 to 2008 governmental administration, we will recall that we were saddled with a highly dysfunctional Government that deflated and depressed our nation. Read what it says slowly, and just absorb the facts that are within the definition! I love this word and believe that it will become a recognized English word – used frequently in Barbados if not in the rest if of the English speaking world. 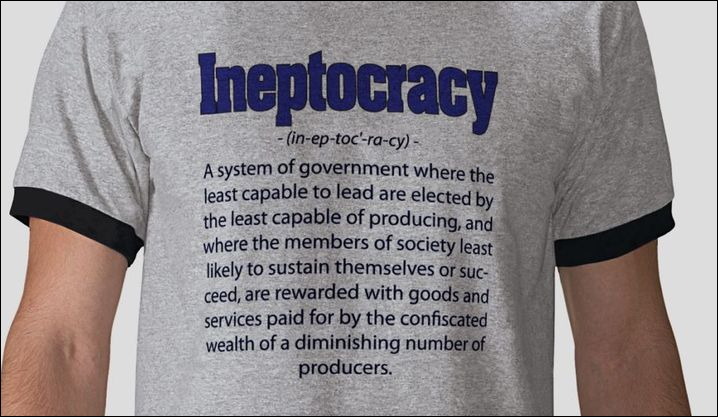 Finally, a brand new word to describe our Future… Love it! A system of government, historically founded in Barbados and now widely available elsewhere, where the least capable to lead are elected by the least capable of producing, and where the members of society least likely to sustain themselves or succeed, are rewarded with goods and services paid for by the confiscated wealth of a diminishing number of producers. Our thanks to Colin Beadon and Mike Frost from Trinidad, now living in Australia. It is a simple matter, really, and one that is hardly unknown in Barbados. Over two years ago a lawyer was supposed to transfer about a quarter of a million dollars from his trust account to a Mr. John Griffiths, the beneficiary of his aunt’s estate. Instead, the crooked lawyer kept the money and made excuses to Mr. Griffiths. Mr. Griffiths was forced to launch a lawsuit against the lawyer. Griffiths won and the court ordered the crooked lawyer to pay the money back and give an accounting within 28 days – but the lawyer failed to pay the money or provide an accounting. Nothing unusual in Barbados where we seem to have hordes of crooked lawyers… except that this crooked lawyer is Member of Parliament and Speaker of the House Michael Carrington QC. Lawyer, Queen’s Counsel, MP, Speaker of the House… Oh Dear! So the BLP Opposition has been walking out of Parliament because even in a house that is heavily populated with thieving lawyers, the elected politicians perceive that a lawyer who raids their trust account is not only crooked, but stupid to be so open about a theft. Why hasn’t Michael Carrington paid the money as the court ordered? That’s easy to guess – Carrington probably doesn’t have the money anymore. He stole it, and spent it on himself, probably intending to replace it in his trust account later or pay it back in pieces. Or, maybe wait for Mr. Griffiths to pass on and then keep the money forever. That’s not an unreasonable guess at Carrington’s motives as the victim is 78 years old, in ill health and confined to a wheelchair. Michael Carrington is a crooked lawyer who stole a quarter million dollars from a vulnerable 78 year old man – and that means Carrington is not fit to be a Member of Parliament let alone Speaker of the House. Was Michael Carrington this crooked lawyer talked about by another victim? How trustworthy are Barbados lawyers? Do Barbados lawyers habitually steal money from overseas clients?